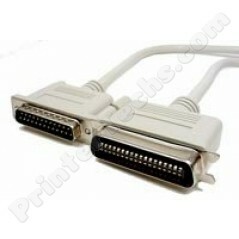 DB-25 male to Centronics 36 male connectors. DB-25 male to Centronics 36 male connectors. 15 ft.